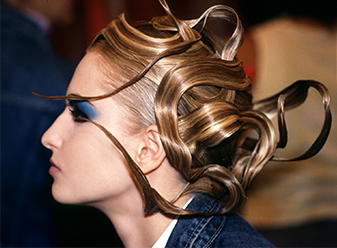 If you have always dreamed of discovering our secrets, knowing how to build the hairstyles of our shows and fashion shows, this course is for you! You will learn how to build solid foundations to erect extravagant hairstyles thanks to a proven technique and accessories sometimes diverted. You will learn how to create materials, to sculpt them, and you will discover the use of hair extensions and hairpieces in this context. You will study the art of transformation which also requires the mastery of volumes and their perspective. Finally, you will develop your artistic sense through style exercises and will test your creativity. 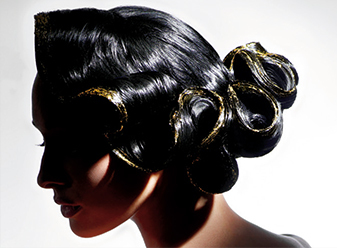 A rewarding and exclusive training that will take you to a unique world dedicated to the most daring hairstyles. Objective : Understand the world of extravagant hairstyles and their confection thanks to the use of transformed materials and made up accessories. Acquisition of technical know-how, development of skills and artistic sense. Content : Alternation of demonstrations, exchanges and theoretical contributions followed by practice. Completed by a practical and creative workshop, the last day.